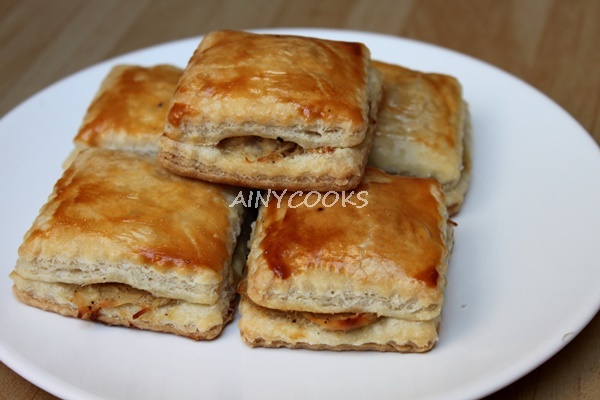 Its better to make hygienically clean and economical patties at home. 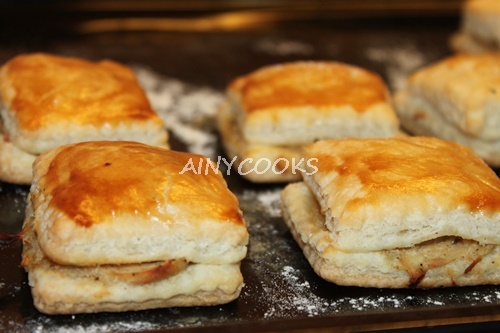 I am sharing a very tasty and copycat recipe of Bakery chicken patties. 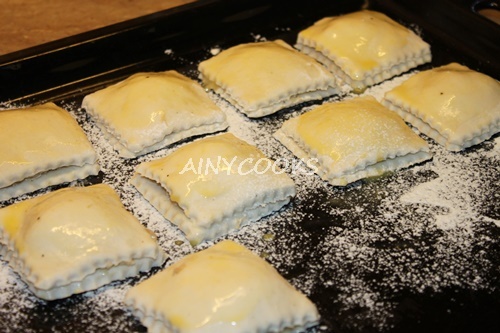 In butter or oil saute chopped onion, stir for 5 minutes and add plan flour. Cook till raw smell removes. Add chicken and mix well. Now add all spices, stir. Add chicken broth and mix. Stir till become thick. 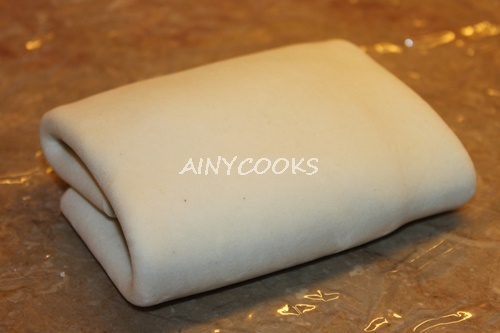 Roll puff pastry and cut any shape. 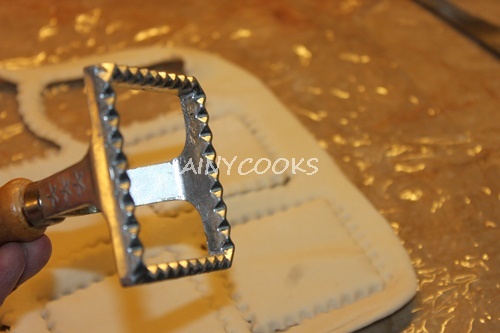 Keep in your mind lower piece should be a bit thick as compare to upper piece. 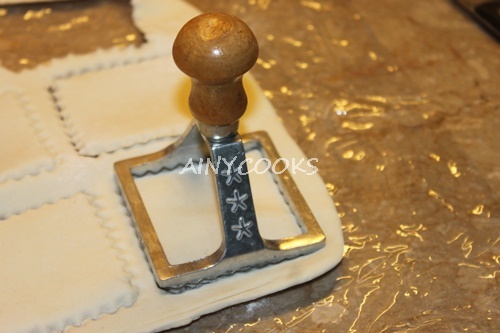 Now place spoon full of mixture on puff pastry and brush corners with egg wash.
Place second piece and press corners. On this stage you can place in a tray cover with cling wrap and freeze it. 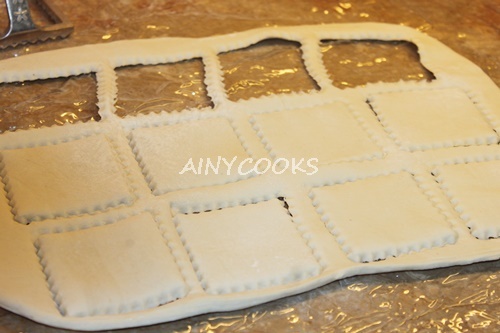 Just thaw before use and bake it. 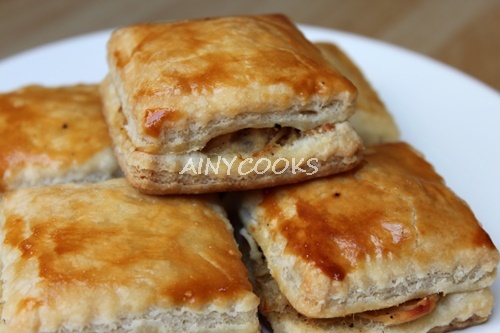 You can do this with mince and chicken patties, I will not recommend for potato filling. 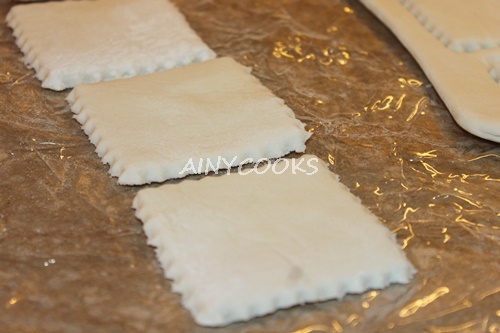 Dust your baking tray with flour and place puffs on tray. 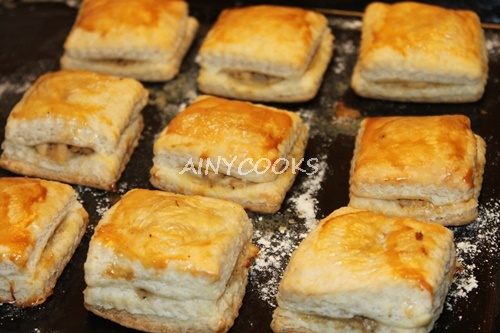 Brush egg wash on each puff pastry and Bake at 180c. 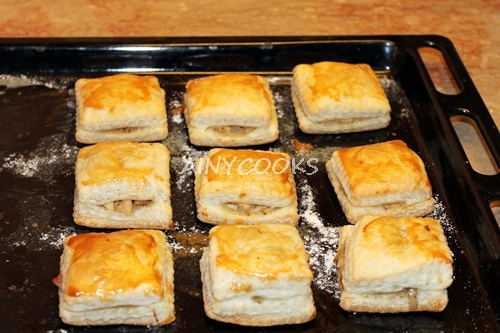 Give 40 minutes to puffs.